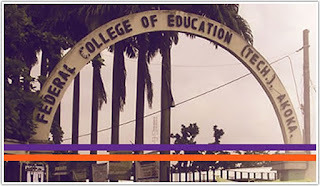 Federal College of Education [FCET] Akoka Notice to NCE and Degree Students on Acceptance of Admission on JAMB Central Admission Processing System (CAPS), Admission Letter Printing and JAMB Matriculation List. (i) That students who are yet to print their Admission Letter for 2017/2018 admission exercise should note that it is as a result of their non-acceptance of their admission on Central Admission Processing System (CAPS). 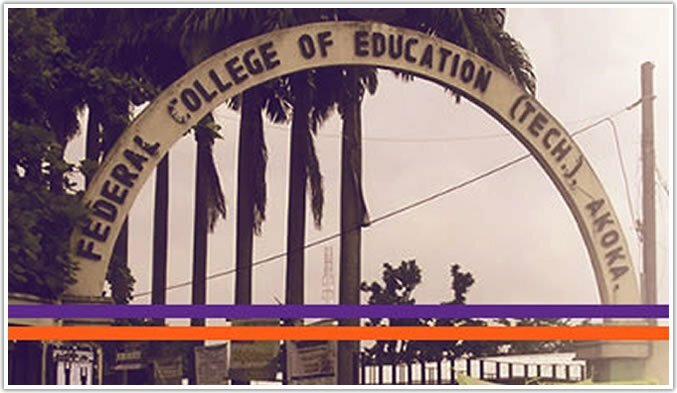 (ii) Consequent upon (i) above, Joint Admissions and Matriculation Board (JAMB) has directed all affected candidates to accept their Admission on Central Admissions Processing System (CAPS) with immediate effect and print their Admission Letter accordingly. (iii) That students who fail to comply with these directives on CAPS will not be able to print their admission letter and their names will not be included in the JAMB Matriculation List. (iv) That JAMB Matriculation List shall be used for NYSC Mobilization Exercise henceforth. Consequently, all NCE and Degree Students are hereby advised to check their names on the JAMB Matriculation List on JAMB website to confirm their status. You are to note the information above and forward any complaint to Admission Office for further processing.